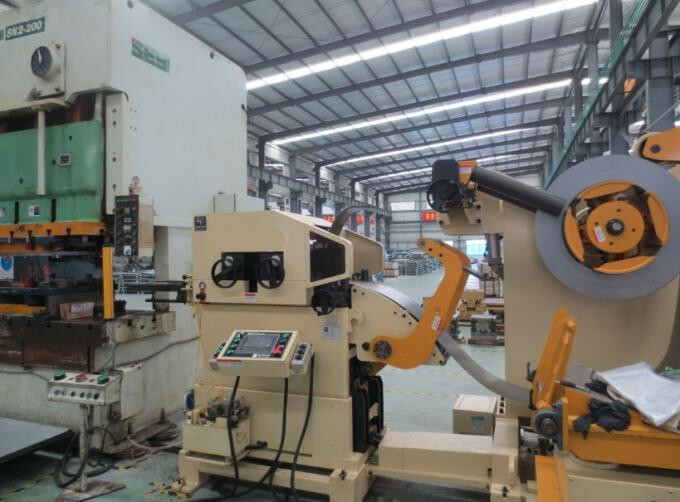 Compact Press Feed Lines are composed of a Decoiler Straightener unit and NC Servo Feeder unit and are particular suitable for profiling, stamping punching line, laser cutting and many other machining processes. It used to uncoiling metal strip from coil stock, straightening it to required flatness and feed it to press machine for stamping process.Thanks to a well-knit body and advanced mechanical structure, it can easily handle coil stock up to 10tons.With YASKAWA servo motor and drive and MITSUBISHI PLC, the feeding line can achieve the very accurate feeding ±0.15mm. Moreover, the whole compact feeding system is only 4.5m length, which will save a lot of workspace for your press workshop. 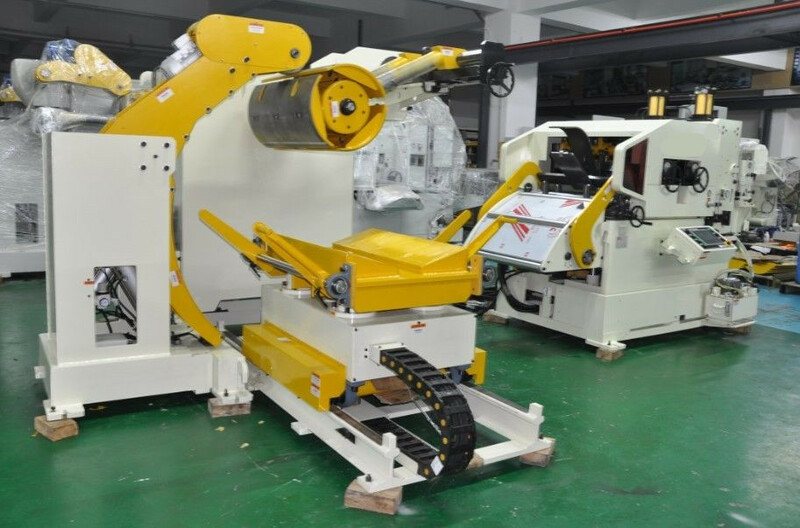 Compact Press Feed Lines with compact design are preferred to be used in case of only small available space as well as in case of less delicate coil material with big material square. They normally are used at middle-sized feeding lengths and middle-sized number of press strokes per minute. MAC4 Compact Press Feed Lines is working in our customer's factory. 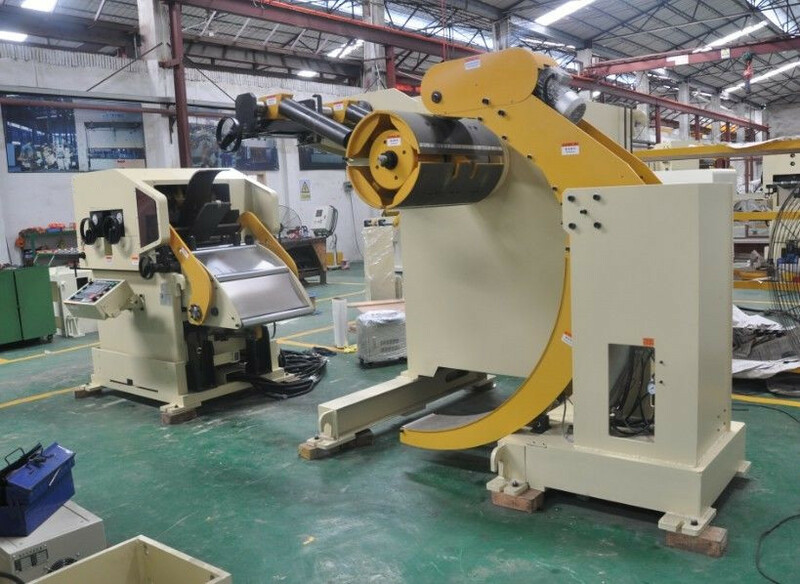 Compact Press Feed Lines for making the bracket coil sheet feed line. 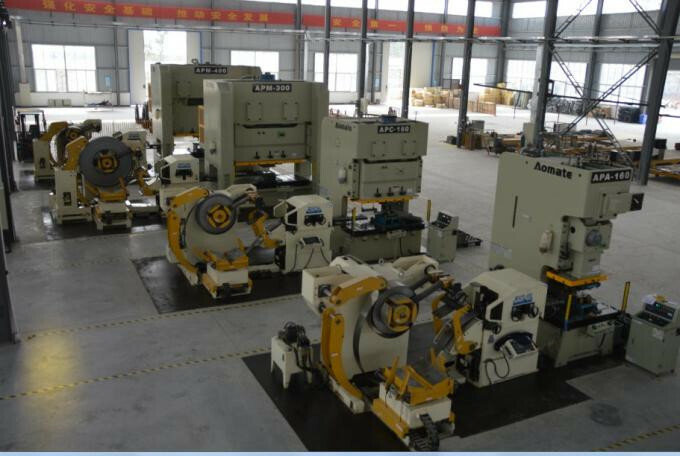 This machine is workinng in one of our customer's factory, they produce U type parts with Compact Press Feed Lines. Looking for ideal Decoiler Straightener Servo Feed Manufacturer & supplier ? We have a wide selection at great prices to help you get creative. All the Press Feeding Production Lines are quality guaranteed. We are China Origin Factory of Sheet Metal Press Feeding line. If you have any question, please feel free to contact us.